A little over two years ago, we were in LA for a wedding and planned a trip to Hawaii after. 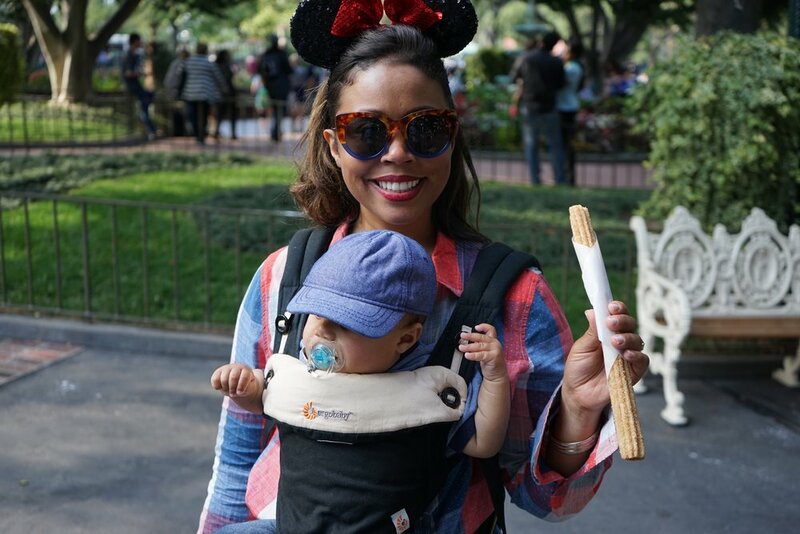 On the way back from Hawaii we stopped in LA for the weekend again (so much better than a 12 hour flight) and decided it was the perfect time to take Jayden to Disneyland for the first time, which in all honesty was really to celebrate my first Mother's Day! Growing up in California, Disneyland was where we went for vacation. Even though we lived in Northern California, we still had season passes. My family has always been big Disney fans! While I've been to Disneyworld, there is something pretty special about being at the place where Walt started it all. 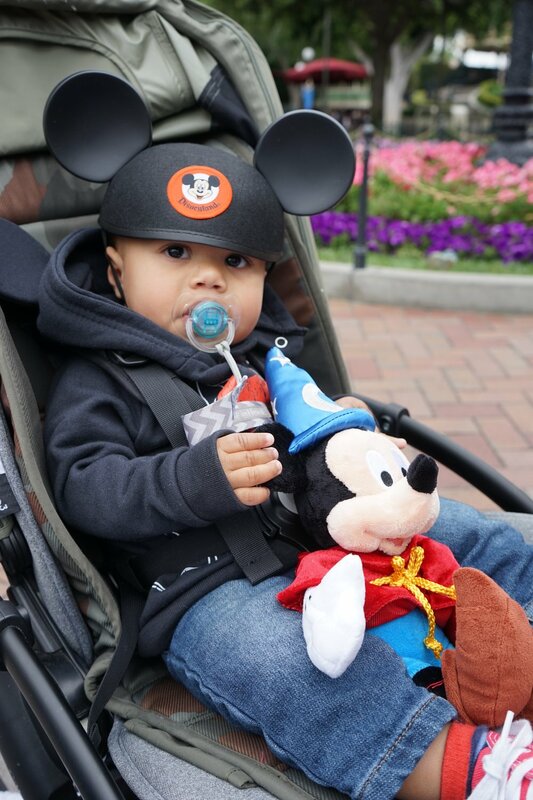 Jayden was 6 months old at the time and you would think he'd be indifferent to Disney, but let me tell you... that trip is where his love for Mickey began! He had a blast and so did mom and dad too. We were able to ride a majority of the rides with Jayden and the characters and the Electrical parade (not sure if they still call it that) was Jayden's favorite by far. 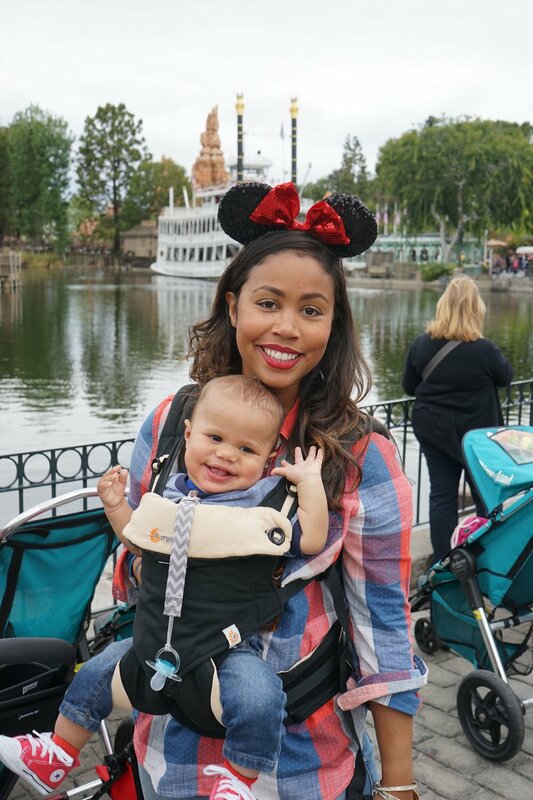 A trip to Disney before your baby is walking is a lot easier on the parents (basically, they can't run away from you, lol). They can ride 80% of the rides with you! They're not old enough to potentially be scared of characters and actually LOVE meeting them! If you do happen to go with your little one in tow, it's best not to over plan and just go with the flow. We were still able to ride a majority of the rides, skipped a few with super long lines, used fast pass for a few others. We also had options for baby, with our bugaboo bee stroller and the Ergo 360 carrier, which I would highly recommend. And as for the parade, we originally weren't planning on staying since it was past bedtime, but Jayden was so into it, that we did and all had a great time. This weekend we are headed back to Disneyland, this time it's me the two boys, my mom, sister, brother and his wife. We can't wait! Gotta take advantage of TWO free tickets while we can.